Renaud PENANT was born in 1959 in Caen, Normandy, France. He moved to Bordeaux, in the south of France, with two friends (Emmanuel BEX and Jean-Philippe VIRET), and their trio eventually won the 1978 "Jazz Aquitaine" competition and toured the region. He moved to Paris in 1980, studied drums at the Kenny Clarke-Dante Agostini Drum School and percussion in the conservatories of Bagnolet and Rueil-Malmaison, and obtained a unanimous first-prize at the Seine Saint-Denis drums competition. He also attended workshops under the direction of great drummers such as Max ROACH, Clifford JARVIS and Jack DeJOHNETTE. He performed in virtually in every major jazz club in Paris (New Morning, Duc des Lombards, Sunset, Petit Opportun, Manhattan Jazz Club, Sunset), in various Jazz Festivals and also played in Germany and Italy. He also started teaching regularly in four conservatories (Arcueil, le Pré-St-Gervais, Epinay Sous Sénart and Chevilly) until he moved to New York. He recorded a CD in 1990 (including two of his compositions) with Jacques FERRANDEZ's group "Mille Sabords" entitled "Paris jour et nuit", which features as a guest the saxophonist François JEANNEAU, ex-director of the French ONJ (National Jazz Orchestra). He also composed music for television, theater ("Olym-Piaf" dedicated to the great French singer Edith Piaf), and for the CFDT (the largest worker's union in France). After studying with Jimmy COBB in 1992 during a visit to the United States, he decided to move to New York. He finally was able to do so in 1995, and has been living here since then. He has studied in the States with Joe CHAMBERS, Charli PERSIP, Joe STRASSER and Joe FARNSWORTH. He has performed with musicians like Bob CRANSHAW, Joe MAGNARELLI, Grant STEWART, John WEBBER, Bobby PORCELLI, Warren VACHE, Frank LACY, Mike MULLINS, Spike WILNER, Sacha PERRY, Dan NIMMER, Zaid NASSER, Jerry WELDON, John FARNSWORTH, Adam SCONE, Seleno CLARKE . . .
For two years he played for the Saturday Jam Session at Smalls with the John MERRILL Trio, and his regular engagements have included weekly gigs at Smoke with the John WEBBER Organ Trio, and then with his trio featuring Steve ASH and Mike KARN. He played every Sunday for 12 years at the Harlem Col. Charles Young American Legion Post 398 with the Seleno CLARKE Organ Trio. He performed at Smoke with the Joe FARNSWORTH World Rhythm Octet which featured musicians such as Curtis FULLER, Ray MANTILLA, Steve NELSON, Jim ROTONDI, Eric ALEXANDER, David HAZELTINE, Anthony WONSEY, Abdou M'BOUP, and Nat REEVES. He also performed at Smalls in March 2006 with the Chris BYARS' Lucky THOMPSON Tribute project in a quartet setting that included the great John HICKS on piano and Ari ROLAND on bass. In 2007 he played twice at Smoke with his quintet featuring the great Bobby PORCELLI on saxophone, John BAILEY on trumpet, Steve ASH on piano and Mike KARN on bass. He also toured France in the fall, playing notably with Fabien Mary on trumpet and Alain JEAN-MARIE on piano. 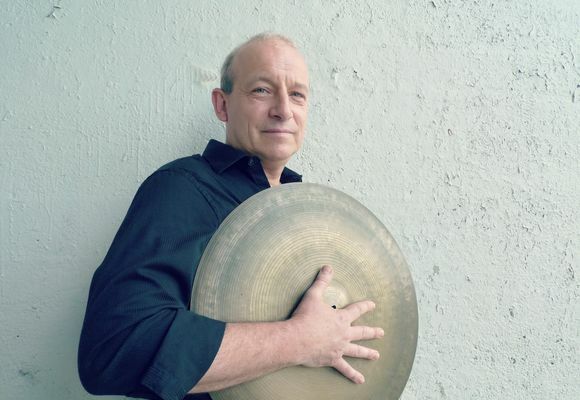 He has recorded with the Joe FARNSWORTH World Rhythm Octet, Janice FRIEDMAN Trio, and he has released a trio CD "I Want To Be Happy", with Steve ASH and Chris HANEY on the ITI label in 2014. In April 2017, he released a CD, "In The Mood For A Classic", featuring Pasquale GRASSO and Ari ROLAND, on the Gut String Records label.